*Gasp* The Spitter is looking your way! *TOP SECRET* *FOR YOUR EYES ONLY* Listen up, Colonial Marine! 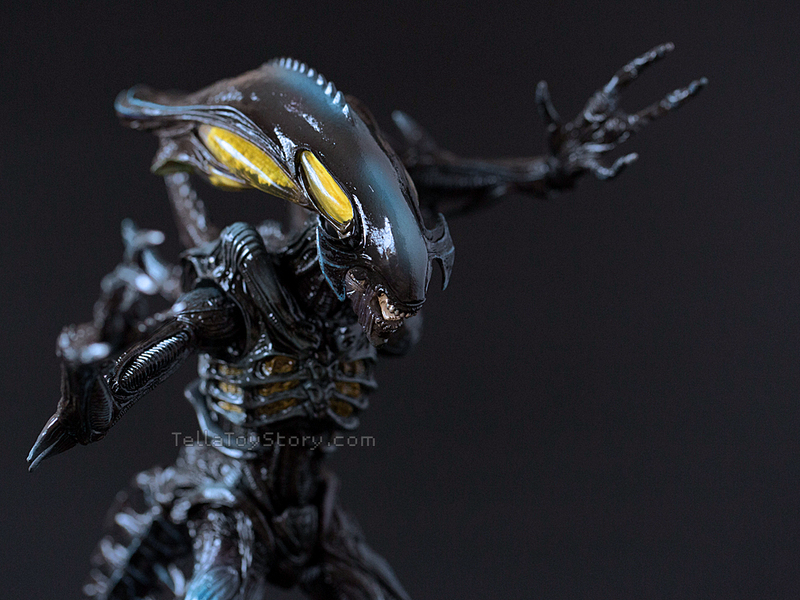 This classified briefing is to prepare you for your impending battle with the Xenomorph species at colony LV-498. The following is a top-secret document containing research materials compiled through the blood, sweat and lives of countless dedicated scientists and soldiers. Where possible, the information has been supplemented with the accounts of civilians who gave their lives for the colony. 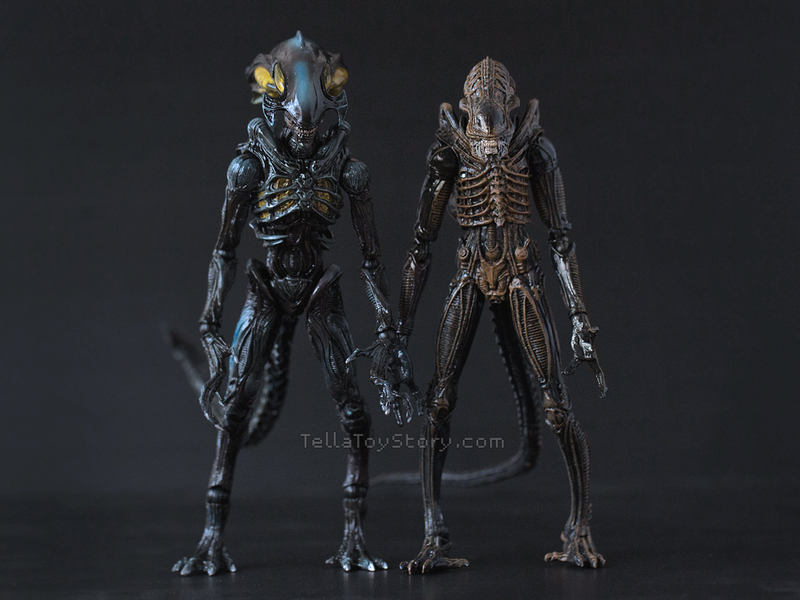 Your mission includes retrieving samples of the Xenomorph whenever possible, to facilitate research for the Weyland-Yutani company to weaponize the Xenomorphs. Click the individual photos to display the full-size version. 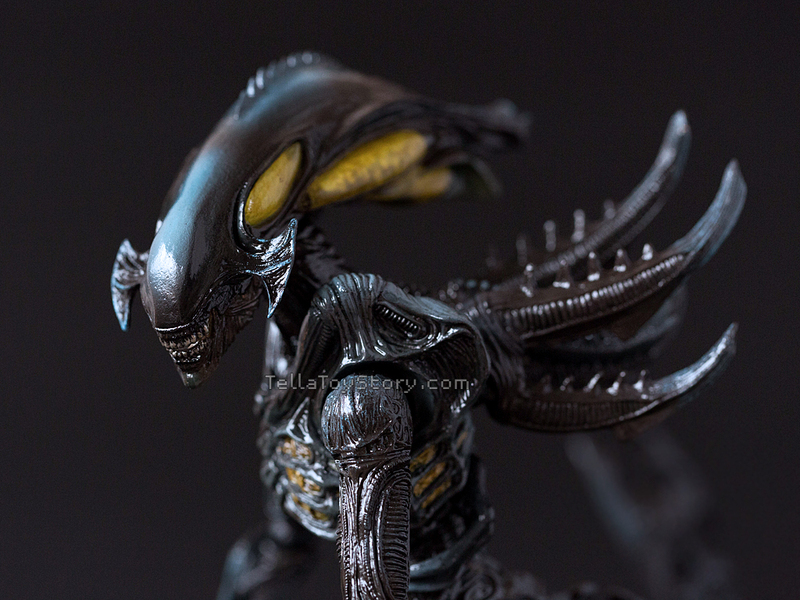 The crown of the Spitter’s head resembles the alien queen’s in some ways. The Spitter gets ready to spit some acid! The glands on both sides of the Spitter’s head secrete and hold the acidic fluid. Some research have suggested that the liquid becomes highly corrosive only upon contact with the atmosphere, i.e. only when it leaves the body. The tail of the spitter is highly developed with hook-like appendages. 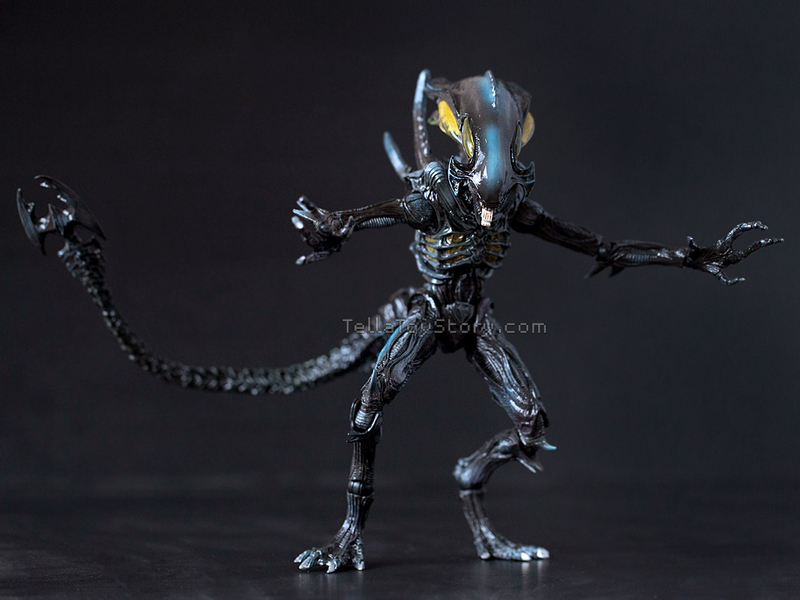 The Spitter, with its fully stretched limbs, hooked tail and acidic spray, is a formidable opponent in a one-to-one battle with most other alien species. 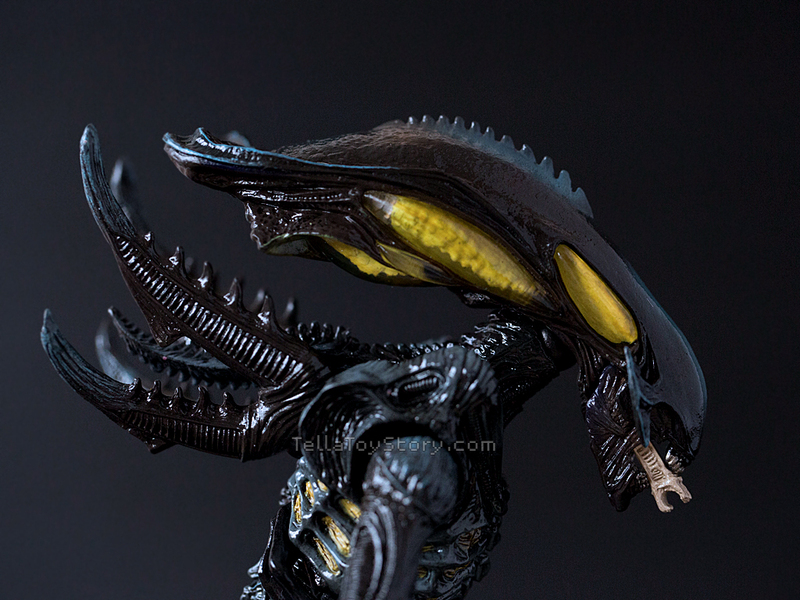 This is a Lurker, another species in the Xenomorph family. The highly articulated body of the Lurker enables it to keep a low profile and blend in with its surroundings. It can stay still in this position for several hours while waiting for prey. The Lurker emerging from its hidden position. 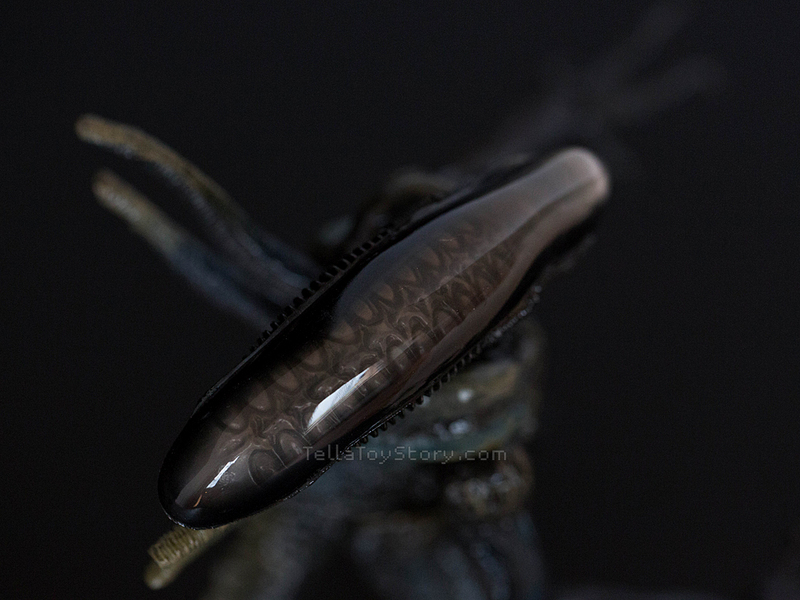 The beautiful design of the Lurker’s skull is visible through the translucent dome. The ridges in the skull operates in a similar fashion to heat sinks, cooling the elongated brain of this highly intelligent species. 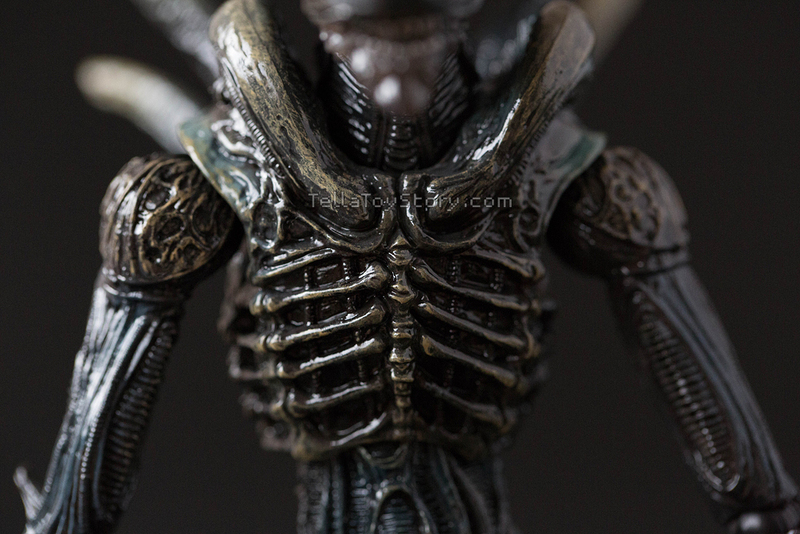 The ribcage of the Xenomorph forms part of its exoskeleton. Shown here is the chest of the Lurker. 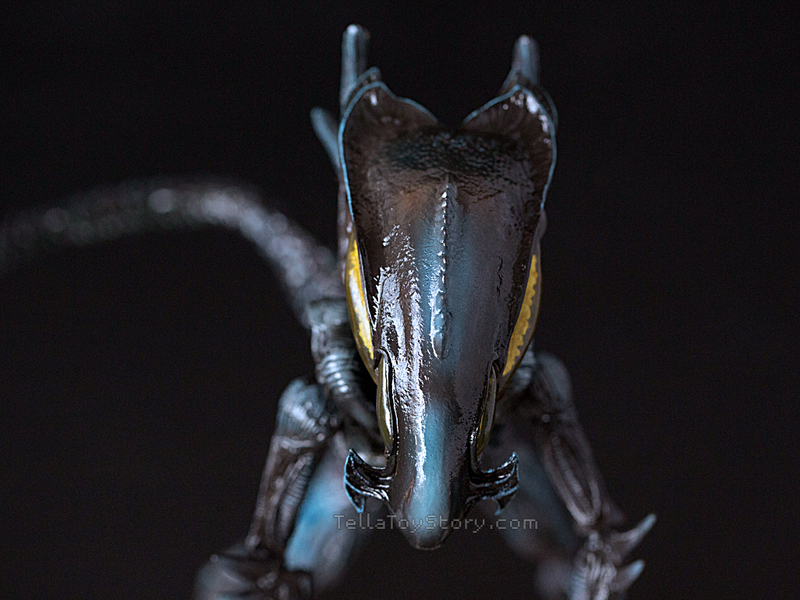 The glossy wet and slimy surfaces help keep the alien’s body cool. 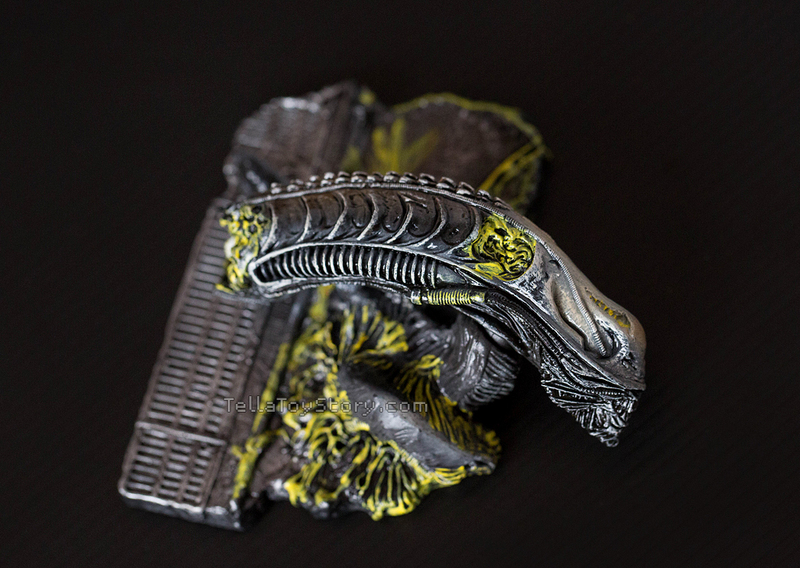 A dead Xenomorph, its acidic blood corroding the grated surface. 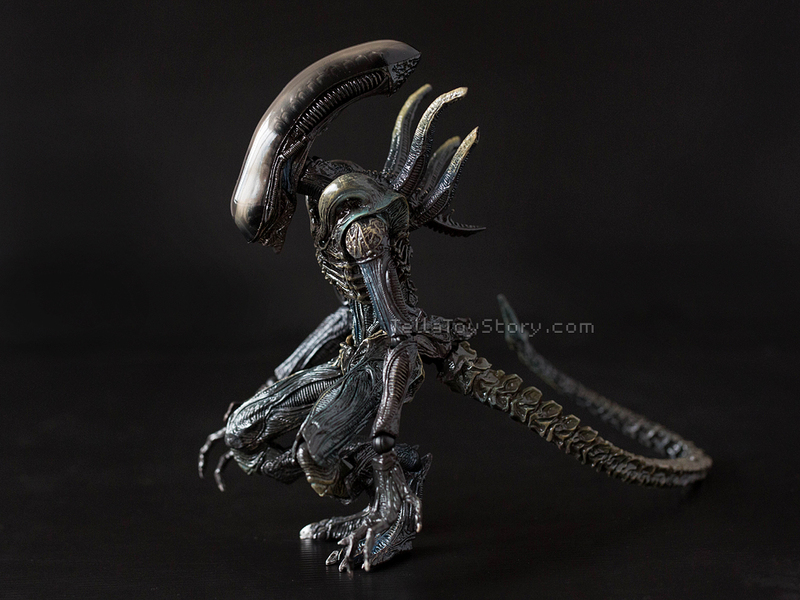 Cause of death remains unknown although it was speculated that it had been attacked by another Xenomorph, most likely from a rival nest. 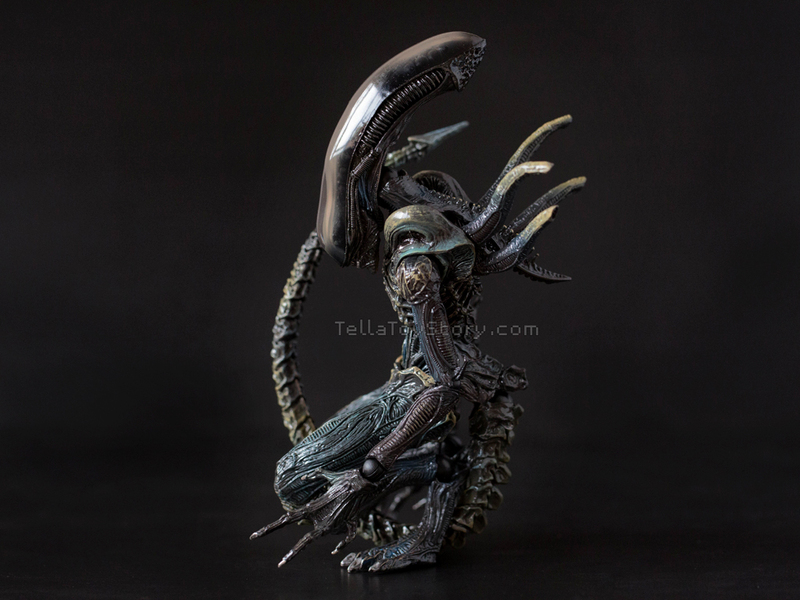 An escaped facehugger! A lab scientist’s worst possible nightmare! 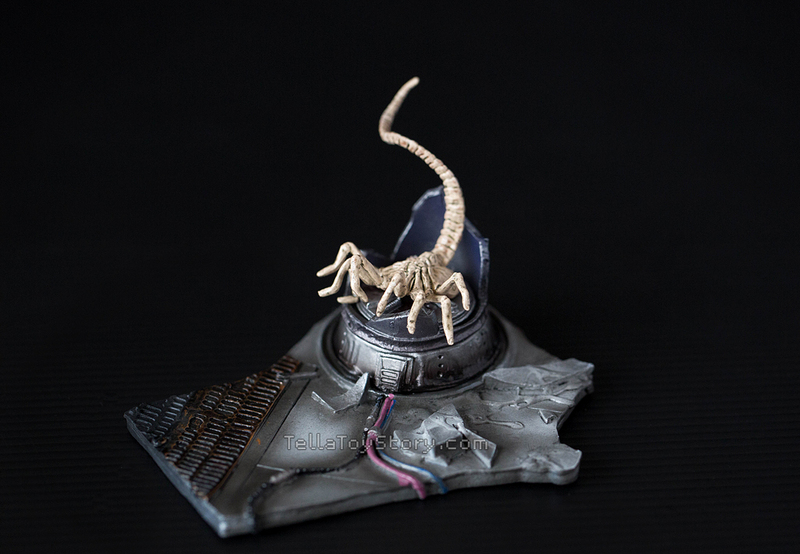 In this situation, your orders are to lock-down the facility and destroy the facehugger at all costs! 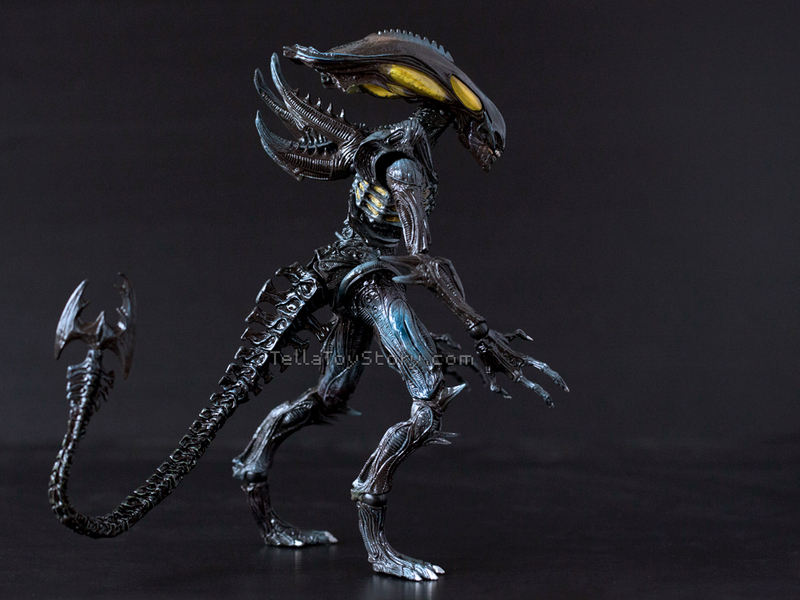 The Play Arts Kai Spitter next to a NECA Brown Warrior Alien. Go battle and make us proud, soldier! The lives of thousands of colonists depend on you! Command center out.